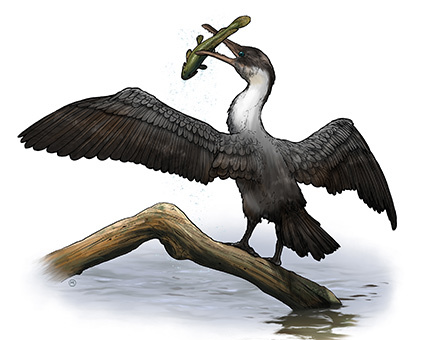 “The bird would have been a cross between a large seagull and a diving bird like a cormorant, but likely had teeth,” says John Tarduno, professor and chair of the Department of Earth and Environmental Sciences at the University and leader of the expedition. 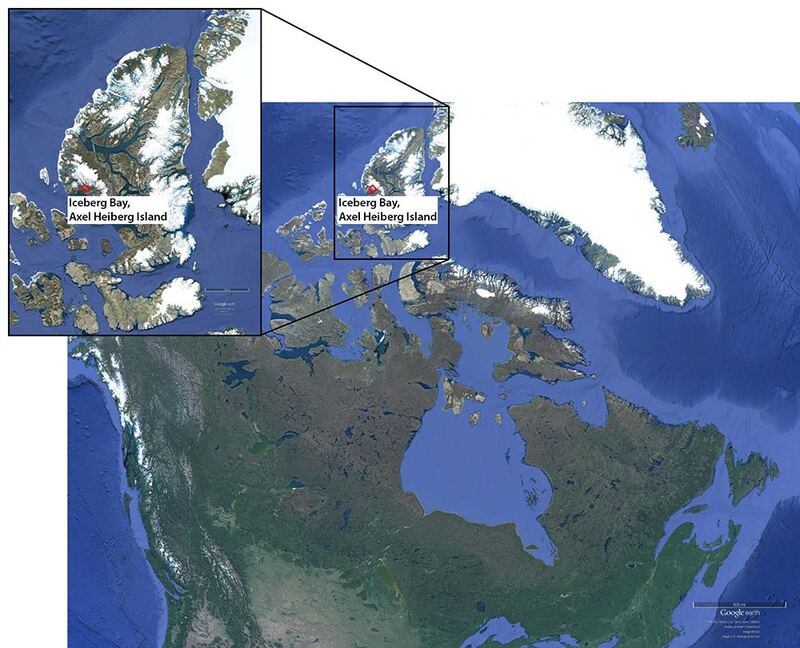 Tarduno and his team, which included both undergraduate and graduate students, named the bird Tingmiatornis arctica; “Tingmiat” means “those that fly” in the Inuktitut language spoken in the central and eastern Canadian Arctic (Nunavut territory). Their findings, published in Scientific Reports, add to previous fossil records Tarduno uncovered from the same geological time period and location in previous expeditions. 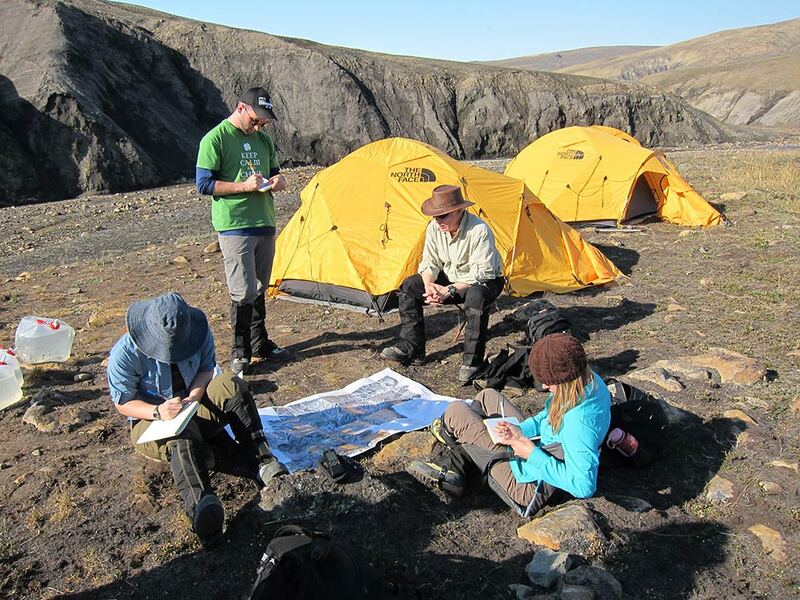 Taken together, these fossils paint a clearer picture of an ecosystem that would have existed in the Canadian Arctic during the Cretaceous period’s Turonian age, which lasted from approximately 93.9 to 89.8 million years ago. “These fossils allow us to flesh out the community and add to our understanding of the community’s composition and how it differed from other places in the world,” says Donald Brinkman, vertebrate paleontologist and director of preservation and research at the Royal Tyrrell Museum in Alberta, Canada. Building historic climate records further helps scientists determine the effects of climate on various communities, ecosystems, and the distribution of species and could help predict the effects of future climatic events. 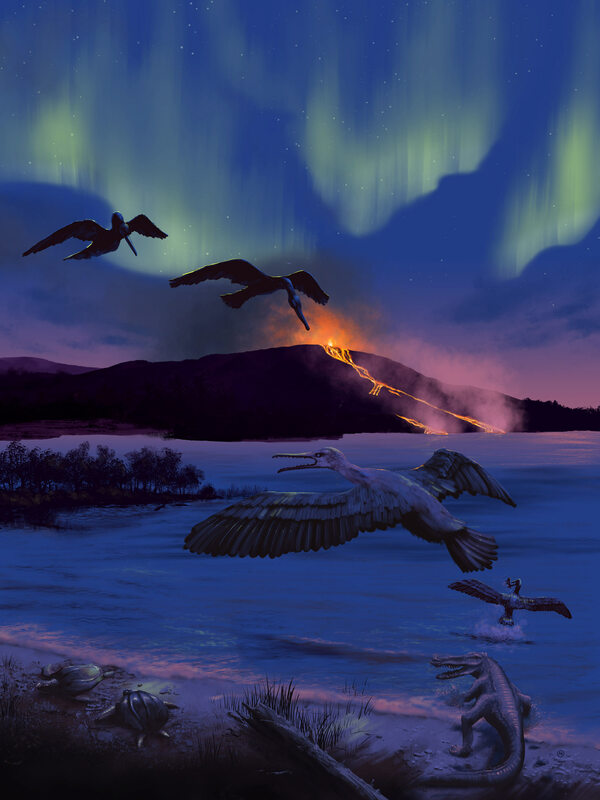 From the fossil and sediment records, Tarduno and his team were able to conjecture that the bird’s environment in the Canadian Arctic during the Turonian age would have been characterized by volcanic activity, a calm freshwater bay, temperatures comparable to those in northern Florida today, and creatures such as turtles, large freshwater fish, and champsosaurs—now-extinct, crocodile-like reptiles. The Tingmiatornis arctica fossils were found above basalt lava fields, created from a series of volcanic eruptions. Scientists believe volcanoes pumped carbon dioxide into the Earth’s atmosphere, causing a greenhouse effect and a period of extraordinary polar heat. This created an ecosystem allowing large birds, including Tingmiatornis arctica, to thrive. 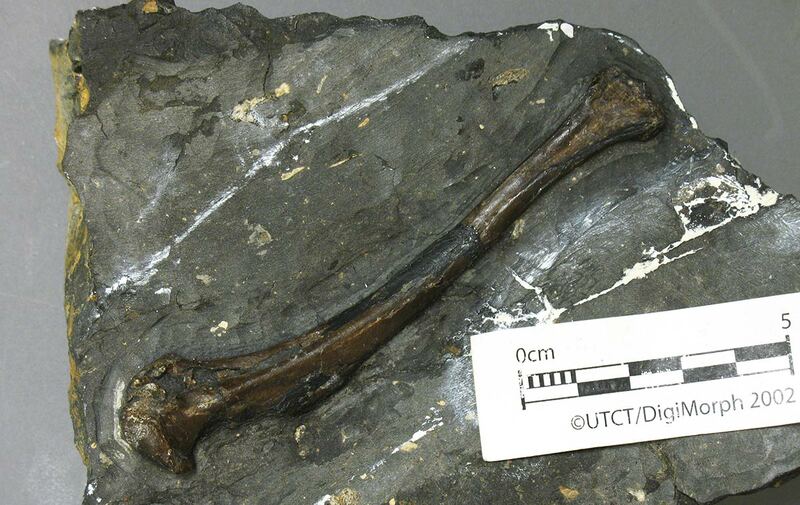 Tarduno’s team unearthed three bird bones: part of the ulna and portions of the humerus, which, in birds, are located in the wings. From the bone features, as well as its thickness and proportions, the team’s paleontologist, Julia Clarke of the University of Texas, was able to determine the evolutionary relationships of the new birds as well as characteristics that indicate whether it likely was able to fly or dive. Previous fossil discoveries indicate the presence of carnivorous fish such as the 0.3-0.6 meter-long bowfin. Birds feeding on these fish would need to be larger-sized and have teeth, offering additional clues to Tingmiatornis arctica’s characteristics. Physiological factors, such as a rapid growth and maturation rate, might explain how this line of bird was able to survive the Cretaceous-Paleogene mass extinction event that occurred approximately 66 million years ago and eliminated approximately three-quarters of the plant and animal species on Earth. These physiological characteristics are still conjecture, Tarduno emphasizes, but he says the bird’s environment gives clear indications as to why the bird fossils were found in this location. This work was funded in part by a grant from the National Science Foundation.